On the Playstation.ca website right now they are asking a question I've been asking myself ever since I picked up my first plastic microphone - do I think I'm a rock star? Yes, yes I do actually. 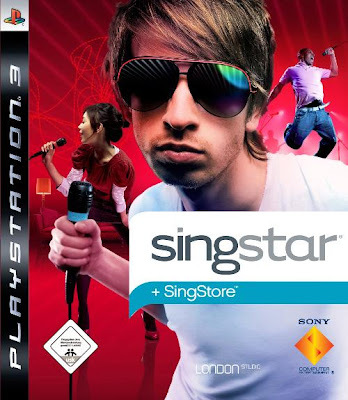 I may not have any real fans, no entourage to keep me safe, and I definitely don't possess any vocal talent - but I do own two SingStar PS2 video games that let me be the best damn fake rock star alive! Fortunately for people like me, Playstation Canada has a solution to really let our inner rock stars come alive. On Tuesday, June 10, Playstation Canada is having it's inaugural SingStar night at Revival Bar in Toronto. And here I thought karaoke was the pinnacle of live amateur performance - man was I wrong! "Swing by for an awesome night of music and drinks (19+ of course, sorry kiddies). We’ll be giving out some cool prizes for the evening’s top performers, but your real reward will be the roar of the crowd!" Hmmmmm...drunkards fake singing in public in front of an audience for cool prizes? Yes, this is why I love video games so damn much. Source: Playstation.ca - Think You're a Rock Star?